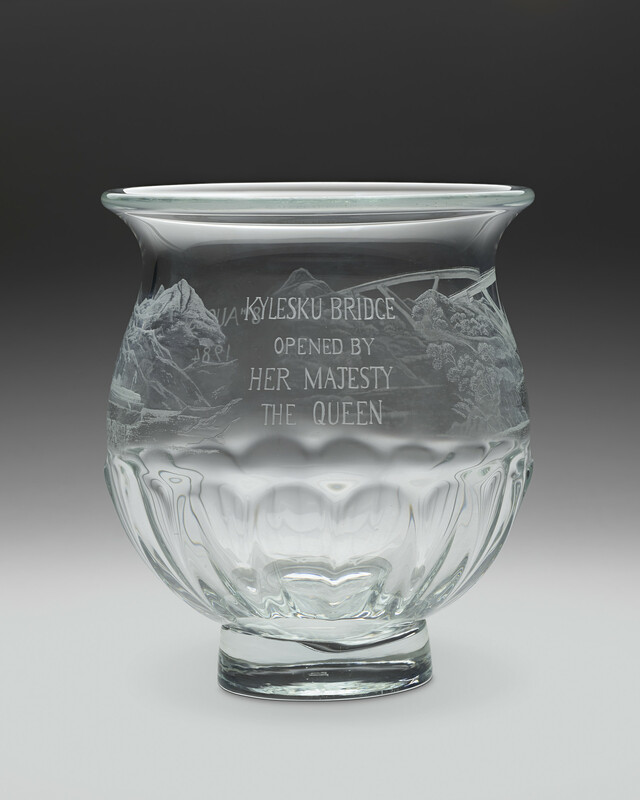 Commemorative glass bowl etched with the opening of the Kylesku Bridge and HMY Britannia. In a black leather box with a gilt loop on front. The bridge is at Loch Glencoul and Loch Gleann Dubh where they join to form a sea passage Loch a' Chàirn Bhàin which links to Eddrachillis Bay.